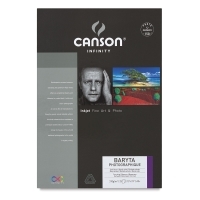 Baryta Photographique is a true Baryta paper developed for inkjet technology. 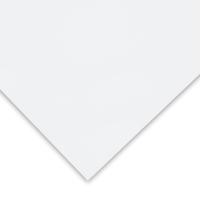 It consists of an alpha-cellulose, acid-free pure white paper with the same barium sulphate coating as for traditional silver halide, and a premium inkjet color receiver layer. Baryta Photographique offers the look and aesthetic of the original darkroom baryta print and complies with the ISO 9706 standard for maximum longevity. This museum-grade photo paper shows excellent black density and great image sharpness, making it ideal for black-and-white photography. Baryta is internally buffered to resist gas fading and maximize the conversation of prints, and optimized for pigmented inks. It dries instantly and is water-resistant.